Repeated exposure to the sound of gunfire has proven to be harmful to the human ear and can cause permanent hearing loss. Look around at any shooting range, and you will see the majority of people using some form of hearing protection. The most common protection seen will be ear plugs, ear muffs, or a combination of the two. This provides effective hearing protection but means an uncomfortable headband or foam earplugs. Avery Sound Company has another solution: the new generation JB1000 custom molded Noise Protectors. 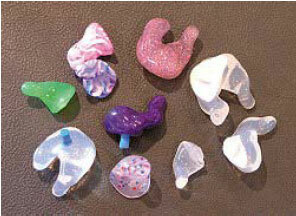 Our society is becoming more and more health conscious, and the area of hearing conservation has not been left behind. The younger generation has learned that simple and inexpensive steps can be taken that will significantly reduce the potential for hearing loss in the future. Avery Sound Company is here to help. 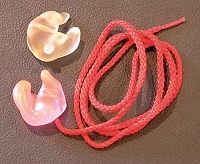 While simple and inexpensive foam earplugs can provide significant hearing protection, they have limitations. The foam earplug must be correctly placed in the ear canal with sufficient depth to provide the advertised level of noise attenuation. Few people take the time necessary to position these foam earplugs correctly, and therefore most people are not receiving the full noise reduction benefits they are seeking. 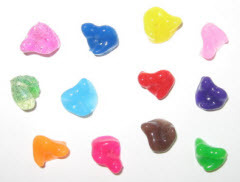 Since these foam earplugs need to be rolled tightly with the fingers before placement in the ear, any dirt and bacteria on the fingers will now be introduced into the ear canal leading to the possibility of irritation and/or infection. Avery Sound Company has another solution. We carry a variety of custom molded noise protection earplugs for different applications that will eliminate these limitations. If your goal is to block out as much sound as possible, the JB1000 Noise Protectors are the product of choice. These new generation Noise Protectors provide exceptional seal and comfort while providing the user with the hearing protection desired. A properly fit set of Noise Protectors can provide up to 28dB of noise reduction. These earpieces are recommended for moderate to high noise level environments and are designed to block the full spectrum of sound. Noise Protector earpieces are available with recessed handles for easy use or can be ordered with an attached cord. All our noise protection earplugs can be ordered in a wide variety of colors and there is even a glitter option for that personalized touch. Click here to see some color options.